Poultry farming chicken equipment is one of the most important chicken farming machicne. The poultry farming chicken equipment include layer cages, broiler cages, baby chick layer cages and baby chick broiler cages. By virtue of different varieties and planning models of battery farming cages, and the associated accessories farming equipment such as poultry manure removal system, poultry feeding system, egg collection system, large chicken supplies equipment of ventilation cooling, is helpful to saving poultry farmers time and epidemic prevention. A-type poultry farming battery chicken cages and H-type chicken farming cages are Livi Machinery’s representatives. Each of type can suitable for layer battery cage and broiler battery cages. The poultry farming chicken farmers can adopt one of poultry farming cages to satisfy their poultry farming manufacturers requirements. The specific metal plating processing for our farming equipment is beneficial to make sure durability and safety in poultry farming environment. 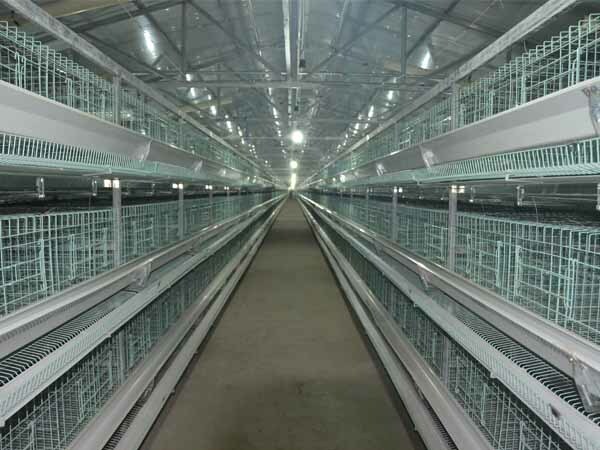 All kinds of poultry battery cages for sale are available in our own production line according to clients’ requirements. Livi Machinery are an excellent poultry farming equipment manufacturer and supplier with advanced and complete production lines as well as strong R & D technical team. Our products are exported all over the world and we have designed and manufactured poultry breeding equipment to meet the needs of our customers one after another. Reduce the investment risk of customers, so that customers in the shortest possible time to obtain high-yield, highly praised by customers. Livi is one of China’s most famous poultry farming chicken cage suppliers, specializing in the production of a set of poultry farming equipment and supporting facilities. You can search for our website to get more information that you need.